1 Why Get a Wireless Adapter? 3.1.2 What is the A/C in wireless? 3.1.7 Do you need an 802.11ac router yet? 3.2.1 2.4 GHz or 5GHz for gaming? Why Get a Wireless Adapter? Wireless offers less clutter, and while it’s always a better choice, you might experience higher latency with it, which can lead to some problems. To fix this problem, a lot of gamers will buy a wireless adapter specifically suited for better gaming. These adapters range from dirt cheap, to much higher prices, leaving people wondering whether they really need one or not. This article will cover some of your best options for wireless adapters available today, listed below. We will cover each of them in detail later on. The ideal wireless card for PC gaming will improve coverage, direct bandwidth to each of your devices as you freely move throughout your house, and will allow you to surf the net, Skype with your family, stream HD video, and play games online from anywhere. You should also look for a device that allows for speedy transfers of data, leading to better management of power and increased performance overall. The items on this list all give you the best of the best benefits. Now that we’ve covered some of the important qualities to look for in a wireless adapter for gaming, it’s time to take a closer look at the best products available on the market. A good wireless card for desktop can make all the difference in the world for your gaming experience. They can mean the difference between advancing far each time you play, or having the screen freezing frustratingly every few seconds. There are a lot of options out there for good wireless cards, but when it comes to selecting the best Wi-Fi USB adapter for gaming, you want the best. Choices: This adapter is dual-band, meaning it can connect with both 5 GHz and 2.4 GHz wireless band and comes with high-gain antennae to heighten range abilities. NETGEAR Genie: This product comes with the NETGEAR genie to help you have an easier time installing. It wirelessly connects the 11ac network to your desktop computer or notebook for a lag-free experience. Multiple Uses: This adapter supports USB 3.0, giving the best speeds using the wireless standards of 802.11ac and uses beam forming technology to heighten range, reliability, and overall speed. Enjoy many different HD streams in your home, a reliable Internet connection, and online gaming. Extra, Unnecessary Software: When you install this, don’t use the instructions that come with the CDROM. Just download the necessary items from the NETGEAR website, plug the adapter in and install just the driver. NETGEAR will try to upload extra software that you probably won’t need or use at all. As soon as you have installed the driver, you will be able to log on. The NETGEAR A6210 has a high-end design and great performance. Similar to other models, it has a tiny design for extra convenience and portability. This compact size will allow you to hook it up to your laptop or PC and then forget it’s there, rather than getting in the way. Smart Beam Technology: This device’s advanced smart beam technology will enhance performance and coverage by directing the bandwidth in between the DWA-192 adapter and your Smart Beam device. Simple Setup: The WPS button on this adapter ensures a single button setup for a secure connection and a fast hookup. The device is backward compatible and will connect with legacy 802.11a/g/n networks. All of this is necessary for a good Wi-Fi card. What it does: This adapter allows you to experience stronger and faster wireless speeds with the newest A/C technology. Just plug it into your USB port and access the connection for quicker gaming, streaming, and even VoIP calls. Unique Look: With this adapter’s unique design, the DWA-192 is one of the only adapters on the market that has an attention-grabbing design to enhance the modernity of your house. Great for Bigger Areas: If you’re one of the many gamers who has a house full of rooms and devices, this product is a perfect fit. Using the greatest and latest of AC technology, the DWA-192 allows for better speeds and wireless coverage to keep you connected across a wider range. Missing FAQ: With this adapter, when you attempt to use the DVD to install the Windows driver, you may have issues. Your OS could block you from the installation due to it not being trusted. On the manufacturer’s web page, there is a FAQ that could be lacking. A simple search online can give you what you need. The D-Link Systems AC1900 adapter offers the ultimate in Wi-Fi speed and performance. Enjoy up to 600Mbps with 2.4 GHz and 1300Mbps with 5 GHz. Its dual band wireless and USB 3.0 interact system allows for quick PC connection and also comes with both 5 GHz and 2.4 GHz for a flexible connection experience. 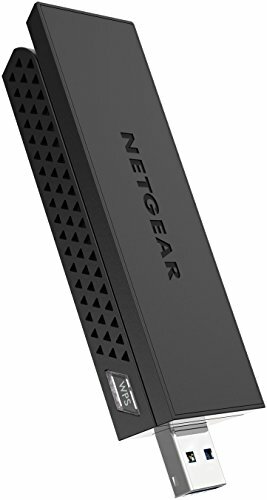 When it comes to speed of connection, this is a solid device and won’t disconnect even as it runs multiple transfers, HD streams, and downloads. You can even easily switch between 5 GHz and 2.4 GHz. Use this with the wireless AC Asus router with the 3×4 antennae, and it will pair up nicely. Perfectly Suited for Gamers: The best choice for streaming HD seamlessly, bandwidth-intensive activities, and online gaming, the T9E is a great choice for dedicated gamers. Designed specifically to handle high-intensity computing, it can handle 4K Ultra video amazingly. Upgrade yourself: The 802.11ac chipset on this device will upgrade your desktop setup to the new wireless A/C, the most powerful and latest technology available for Wi-Fi right now. Heat Sink: The heat sink feature on this device will distribute heat so that it points away from the core components and improves performance and reliability. Overheating is a real issue with many electronic devices, so this is a welcome and useful feature. Upgradeable Antennae: The Archer T9E has dual band, 3×3, omnidirectional antennae built to maximize stability and connection range. You will no longer need to run a cord across your room to get a stable connection. Possible Network Card issues: Some users may notice crashes or strange graphical errors, due to network card issues. If this happens, switching back to your previous USB card should fix the error. The TP-Link Archer T9E has the newest Wi-Fi standard on it, the 802.11ac and is three times quicker than the N speed wireless. The Archer T9E has 1300Mbps speeds over the 5 GHz band and also 600Mbps over 2.4 GHz. Upgrade your gaming with this Wi-Fi adapter. It’s beam forming-capable, producing more reliable and stronger wireless connections for you. You can take this with you traveling for work or leisure, use it at the office, or just keep it in your gaming room. With this product, you will notice no difference using this or a hardwire, even if you’re up to 35 feet away from your router. It will offer unbelievable stability in terms of bandwidth instead of being jumpy, offering a smooth user experience. Slim Design: The nano design of this adapter is convenient and lets you connect to your computer’s USB port without getting in the way of the other ports. Compatibility: You won’t have any compatibility issues with the NET-DYN USB Wi-Fi adapter, which works with Mac OS, Linux, and Windows 10, 8, 7, XP, and Vista. It will offer a speed up to 150Mbps and won’t lag, even while streaming HD video and heavy games. Versatility: The NET-DYN adapter will connect to many different Wi-Fi environments including hotel connections, airplanes, airports, and conference rooms. Take it with you everywhere you go! Small Protrusion: When this adapter is plugged in, it doesn’t stick out far from your computer. If you bring your laptop with you everywhere and need to take it out and put it away often, this is very convenient. Sharp Edges: This product may be better if it had rounded edges so that it didn’t catch on anything. This may make it more difficult to plug in/out of the USB port. You will enjoy the amazing extended coverage on your Wi-Fi and high-speed quality with this adapter, which has a plug and play feature. Enjoy driver updates, easy installation, and a warranty that lasts a lifetime. External Antennae: The MIMO design of this adapter has a powerful 3×4 feature and external antennae with dual internal functioning and three positions. The external antennae are foldable, providing portability for your laptop when closed, and better reception for your laptop when it’s open. 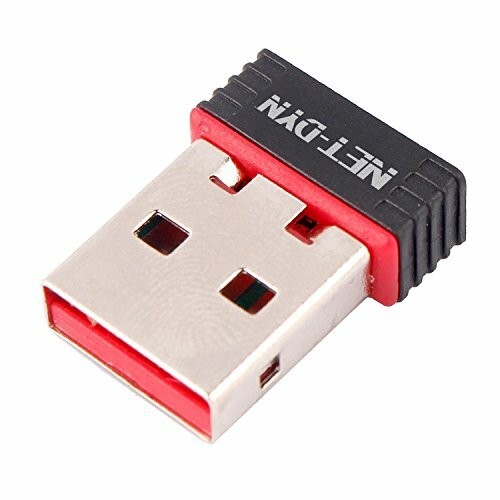 300 Percent Speed Increase: This adapter will increase the speed of your Wi-Fi up to 300 percent as compared with previous N900 devices. It also has ASUS beam forming. Once you have it set up correctly, you won’t have any issues and will enjoy its speed. USB Cradle: The adapter comes with a USB 3.0 cradle included, which will offer you additional options for placement, allowing you to optimize desktop coverage for the best gaming experience possible. Must Download newer Version: This shouldn’t be used with the driver version 2.1, and instead, you should download 2.0.8.8 by searching “PCE-AC68 drivers” on the Asus website. You will find the suitable drivers under the support section. Requires Special Setup: For this device, watch for strange motherboard complications. To have the smoothest experience possible for your gaming, make sure you don’t install the included Asus drivers or the setup utility. The ASUS USB-AC68 upgrades laptops or desktops instantly to extended coverage through dual-band AC 1900 wireless, offering higher throughput. 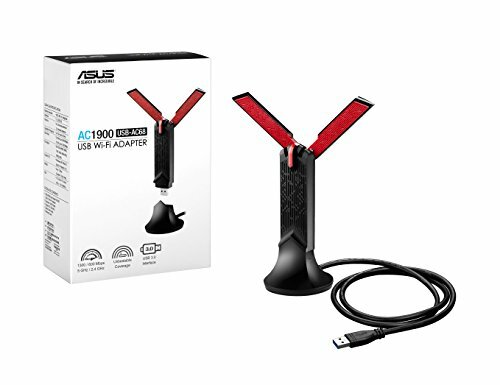 The ASUS USB-AC68 offers your desktop computer a boost of over 30 percent while using 2.4 GHz and up to 300 percent using the 5 GHz. This is when compared with the 3T3R 802.11n adapter. Using a combined rate of data at 1900Mbps, your laptop or desktop will easily handle even the most bandwidth-intensive functions. “Protocol” refers to rules that have been agreed upon for communication. If one of you speaks German and the other speaks French, communication won’t work. However, choosing a single language will ensure that everything runs smoothly. The communication protocol set on the Internet is the TCP/IP. This is a grouping of different protocols that each have a unique purpose or function. They have been put into place using bodies of international standards and exist on nearly every platform in the world. This helps make sure that every online device is able to communicate sucessfully. Each of the products on this list have gone through rigorous and reliable tests to ensure proper functioning. Want advice on a better setup for your wireless router? Check out this informative article from PC World. For a faster Wi-Fi connection, check out this video for easy tips you can utilize at home. What is the A/C in wireless? This refers to the most recent IEEE standard for Wi-Fi, which was created to make the wireless services better in the enterprise and also support various HD video streams at home. A/C is also called 5G or Gigabit and became available to the public in the year 2012. This was approved as the standard in the early part of 2014. Operating within the 5 GHz band only, these devices are considered backward compatible in regards to 802.11n. 802.11n is expected to be present at the same time as 802.11ac for at least another decade. Access points that are 802.11ac use beamforming, a method that uses feedback to guide the transmission to the receiver more directly. Learn more about 802.11ac here. First of all, let’s cover the 802 portion of this. This system of naming is utilized by a few different networking standards that you are already familiar with. Ethernet networks start at 802.3, the 802.15 prefix is used for Bluetooth, and 802.11 is used as the tag for Wi-Fi. Each different variety of Wi-Fi starts with 802.11, followed by a single or double letter which can help the consumer identify other defining properties, like the device’s range or maximum speed. To help different networks and pieces of hardware work together, many different products support various, or every, standard simultaneously. Perhaps you’ve seen a Wi-Fi listing such as 802.11ac/n/g/b/a on many different smartphone spec sheets, which covers the most common and oldest standards. A lot of the renaming involved here has happened just to help differentiate between small standard improvements, mostly in speed increases. 802.11ac is present in all major laptops, desktop computers, smart TVs, and smartphones, and was finalized in 2013. 802.11ac succeeds 802.11n, which led the market starting in 2007 and comes with a few major benefits. Chipsets that have 802.11ac will be entirely backward compatible in terms of previous Wi-Fi standards. In other words, this works well with 802.11a (which started in ’99), 802.11b (from the year 2000), 802.11g from ’03, and the 2007 802.11n. Unfortunately, in these cases, you’ll be stuck with the older standard of performance and only receive wireless A/C benefits when you connect to 802.11ac from 802.11ac. What this means is an 802.11ac device and router. 802.11n doesn’t have a lot of reduced value options, and 802.11ac has a pragmatic method for this. When “useless” options impact the third-party device, 802.11ac will forbid a device operating in the mode of 802.11ac to use that option. If the useless option isn’t used with 802.11n devices or only impacts the devices on which the option has been activated, that feature will not be updated on the 802.11ac and will instead be allowed to die. Do you need an 802.11ac router yet? 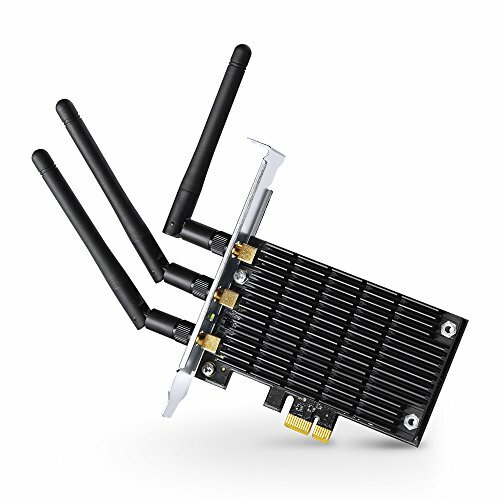 Since 802.11ac has only been recently approved for use in the consumer market, router manufacturing companies have started flooding your local tech shop with wireless hubs that fit the bill. In order to find out whether your router is ready for A/C, just check out the model name to find out what you can expect. At the moment, routers that have 802.11ac will include the “ac” somewhere in the name. 2.4 GHz or 5GHz for gaming? What determines the range you get when you’re gaming at home? First of all, it’s important to look at 2.4 GHz vs. 5 GHz. In terms of whether to use 2.4 GHz or 5 GHz for gaming, 5 GHz isn’t as likely to be congested. The range of 2.4 GHz is more commonly used in your area by other networks and thus prone to more interface. It’s also used by home appliances, garage door openers, and cordless phones. There is no clear cut answer to whether a USB or PCIe is better. PCI cards (including PCIe cards) may have a better antenna and tend to transmit at the highest level of power possible. USB devices, on the other hand, don’t because they’re meant to save power for portable devices. USB is easier to place further from your device using an extension cable, but PCI cards have their antennae located near the metal casing, which can block signals from reaching it. This is worth considering when trying to find the best PCI wireless card for gaming. If the machine is placed against a wall under a desk (common for desktops), the antenna will be blocked off from multiple directions. It can end up costing you some money to extend the device’s antenna away from its casing without losing a lot of signal. Some USB devices exist that come with long cords and multiple antennae, so PCIe devices don’t always have more antenna. In areas that allow you to point the antenna toward your router, going with a PCIe card will probably be faster if you choose one with multiple antennae. Which option will work better for you depends mostly on how you install it than the technical specs on the device itself. Make sure you do adequate research to ensure you’re doing this right, then you’ll have a hassle-free setup and experience. Linksys is a USA-based company that sells hardware products for data networking, mostly to small businesses and home users. Linksys products include network storage systems, audio-visual items, wireless video cameras, VoIP equipment, Ethernet switches, and wireless or wired routers. There’s a reason why this company is such a well-known name in the gaming and Internet world. Its products are sold to customers from electronics stores, big-box retailers, and Internet retailers. Noteworthy competitor companies in the same field include NETGEAR, TP-Link, and D-Link. To learn more about Linksys, check out their website. NETGEAR is a USA-based global networking business that provides items to service providers, businesses, and consumers. The business operates in three different segments: service provider, commercial, and retail. Its products utilize proven technologies including powerline, Ethernet, and wireless (including LTE and Wi-Fi) and have a focus on easy use and reliability. NETGEAR’s product line includes wireless and wired devices that allow network connectivity, broadband access, and networking. NETGEAR’s merchandise is available in many configurations in order to address user needs throughout various geographic regions. When selecting a product, it’s nice to know more about the company itself. Learn more about NETGEAR by clicking here. 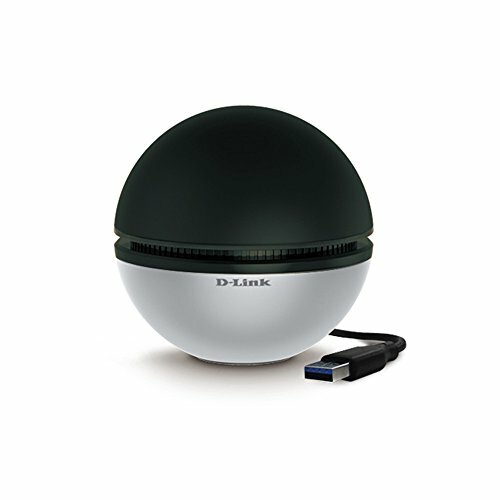 D-Link allows you to connect to more with its innovative methods of computer networking. The company began in Taiwan and has since grown into a global company that offers the newest and best network solutions. They offer award-winning services and products to service providers, businesses, and home consumers. You can find out more about D-Link by reading this page. TP-Link was created in 1996 and has since become a global leader in providing networking accessories and devices for your daily life. The business supplies products to over 120 nations and serves millions of customers across the globe. TP-Link offers a variety of products fit to serve all individuals and continues to provide value, performance, and stability in their sphere. The company continues to expand to meet the demands of our increasingly connected lifestyles. The first product on our list will be from TP-Link, so you’ll get a chance to learn more about their quality very shortly. Let’s look at the list of the best five Wi-Fi adapters for gaming available on the market today. According to the most crucial needs of gamers, including speed, range, and more, the ASUS USB-AC68 is the clear winner of the roundup. It’s a dual-band USB device that will immediately upgrade your gaming setup. Enjoy speeds of 600Mbps with 2.4 GHz and 1300Mbps with 5 GHz. The 3×4 MIMO design on the antenna, combined with the ASUS beam forming AiRadar will optimize your reception, and the unique cradle feature allows you to adjust according to your unique needs and home setup. You can pair this with desktops or notebooks and enjoy a speed 10X quicker than a 2.0 USB. The USB-AC68 has enough bandwidth for full support of Wi-Fi speeds using 802.11ac, allowing you to stay up to date with the best of Wi-Fi standards. Don’t get left behind; take advantage of the newest technology. Adjust the antennae and cradle for optimal connection on your laptop, desktop, or while traveling. The included USB 3.0 interface will get rid of any potential Wi-Fi bottleneck, ensuring the best quality performance for your gaming experience. Please feel free to comment with any additional recommendations or thoughts on the best Wi-Fi adapter for PC gaming.